Looking for a professional home inspection? With a home inspection, it’s absolutely essential that you hire an expert with the necessary certifications. Keeping the highest standards in mind, Stellar Inspections strives to provide Chateau Elan home inspections that cover all the bases, from plumbing to framing and everything in between. Braselton is one of the most beautiful cities in Georgia, and no homes are more impressive than those in Chateau Elan. For both buyer and seller, an accurate home inspection in such an upscale environment is more crucial than ever. With over 3,000 inspections completed, you can rest assured that your Chateau Elan home inspection will be the finest you can get. Our superior service is backed by four professional certifications for inspections, providing a quantifiable guarantee for our quality. Norman Ellis has also achieved multiple relevant degrees and has served as inspector and project manager throughout a history of professionalism. This is constantly being bolstered by continuing education every year, to stay on the verge of the newest techniques and knowledge. A background with plumbing and construction also serves to reinforce this knowledge with an insider’s knowhow, giving you an experience from Stellar Inspections that sets us apart from other Chateau Elan home inspections. Worried about inconvenience? Don’t fret yourself! Our home inspections generally last from only 2 1/2 to 4 hours, taking as little time out of your valuable day. We don’t even require the homeowner to remain present throughout the inspection, in case you have places you need to be. 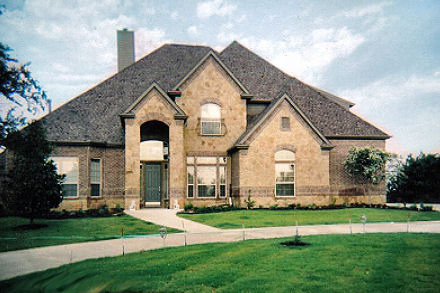 If you are in need of home inspection in Chateau Elan, Stellar Inspections has you covered. Still have any questions? Check out the about section of our website for more info, or browse our tips to learn the insiders’ advice on home inspections. And feel free to give us a call today! You can even stop by our office located in Buford and speak to our professionals in person. We want to make sure that we provide you with everything you need to know.